Are You Not Satisfied From Your Own Nature ? Are you a problem for yourself, Are you not satisfied from your own nature, Is your own nature embarrassing you and other, Do you want to change your negative habits, do you want to develop a hypnotic power in your personality through astrology. Many times i got mail from the people of different segments world wide related to their own nature which is creating problem always. I am very lazy negative in attitude depressed with lack of interest. My mind is not stable. I am very talkative what to do? I think too much what to do? I am not able to face any new person what to do? I have unwanted fear, what to do? I forget the things easily how to develop memory? I am short tempered what to do? I am very suspicious and because of this i am unable to trust any one what to do? I believe on any one easily and because of that i suffer very much what to do? I am dominated easily what to do? I am careless what to do? So above are some important questions which generally asked by people from me and i just want to say that it is not impossible to change the behavior or personality. It is not impossible to over come from the negative thinking easily. It is not impossible to attain the culmination of success in life. It is not impossible to live the desired life. But the main problem is with having that powerful passion, willpower to achieve that success. Remember if we are not getting success it means that we are lacking some where in our efforts. And only doing physical work or mental work not comes in efforts. Efforts means to try from all the direction, from all the ways what is possible. Astrology, Vastu, Vashikaran, occult sciences are also one of the ways to get the ways of success. By wearing right gems it is possible to change the personality, by chanting right mantras or spell; it is possible to gain powers and change the environment, By changing the directions of things in business place and house it is possible to change the environment, By using meditation techniques also it is possible to get the impossible things, by changing the thinking it is possible to change our own world. Any thing is possible through the great sciences but the main thing is, it is necessary to move in right way, in right guidance and in right time. Let me explain you how astrology makes the behaviour. Suppose if Rahu is present in the lagna then the person will become obstinate and passionate too. On the other hand if the grahan yoga is there then the person will suffer from fear and it also makes the person frustrate in life. The power of planets also makes changes in personality. 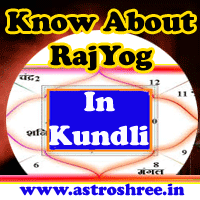 So it is very necessary to analyze the kundli very minutely then only we can reach on any final decision. If you want the solutions of your personality problems then you can send your doubts with your birth details and after that by proper analysis i will guide you to change the personality through proper way.